Do You Know The Connection Between Hops And Cannabis? Marijuana and hops are very similar in appearance and sometimes smell. But do the similarities go deeper? Marijuana and hops can be similar in taste, smell, and appearance. 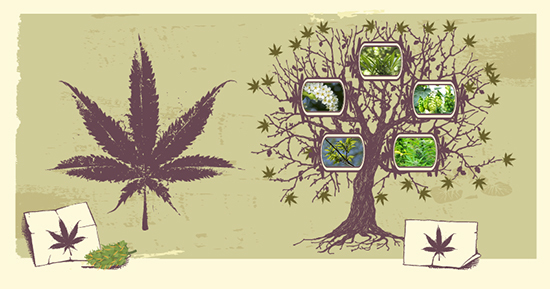 There is a chemical reason for these similarities and they are strongly founded in the properties of terpenes. Take a closer look at the relationship between hops and marijuana and you will likely confirm your suspicions. Terpenes are the compounds that give both marijuana and hops their unique smell. Often people can identify different strains of marijuana by their smell and the same goes for hops. Terpenes begin from base molecules called isoprene, and then combine or replicate to create profiles that are unique to each plant. Some of the common terpenes found in hops are myrcene, beta-pinene, and alpha-humulene. These terpenes are also commonly found in marijuana and are responsible for both “flowers’” smell profile. The hops commonly used to make beer are from the species Humulus lupulus and Marijuana is from Cannabis sativa. Early botanists classified plants based on their structural appearance, and because the hops plant and cannabis plant look similar, they were grouped into the same genus of plants called “Cannabinaceae”. This genus of plant was then classified as being part of the order called Urticales. The leaves of the cannabis plant and the hops plant are “palmately lobed” or a leaf that has veins, lobes, and/or leaflets that all radiate from a single point- the stem. The practice of determining a plant’s genus based on appearance proved to be flawed. Beginning in the 1990’s molecular biologists began running plant DNA through sequencers and discovered more similarities between the hops and marijuana plants. In 2002 a group of U.S. and U.K. molecular biologists confirmed the molecular structural characteristics between hops and marijuana (cannabis) were very closely related. They also found that there were several other plant families that shared these characteristics and thus merged them all into the Cannabinaceae order. Aside from the terpenes, none of this really matters to the regular joint smoker or beer drinker. We get it, marijuana and hops can sometimes smell and look the same. They grow similarly and both have intoxicating effects. If the scientists want to switch the names of their genus or species thirty more times before they settle on a proper order, we’ll still think they smell and look the same. That’s enough for me at least. Do you notice the similarities between hops and marijuana? Have you ever bred a hops plant with a cannabis plant? Let us know on social media or in the comments below.